Last week on Friday my niece Aashni graduated from High School and it was reason for celebration. From work I managed to make a mad dash towards International School of Kenya beating the Friday Nairobi traffic, just in time to secure a good seat in the auditorium to watch her receive her Diploma. I loved the fact that the ceremony started exactly on time and without any frills or dramas, the evening started off with the graduates filing onto the stage followed by the National Anthem. There were no tedious speeches. All the speakers were articulate and I just totally enjoyed myself throughout. This is true because I checked my phones for my messages only once and if you know me, you know that I check for messages every other minute. I must say the one thing that stood out to me in the entire ceremony was the extremely high heels most of the graduation girls were wearing. Yes, I know… you’re thinking what on earth was I doing looking at footwear but that’s how I am. I just notice things like that, especially footwear. The girls teetered along as they came forward to collect their diplomas and I was mentally giving marks out of ten to all the heels. I must say the average was rather high by the end of the evening! In all, the ceremony was wonderful and I was really honoured to be part of the select few who could be invited to the graduation ceremony and watch my baby be honoured. We went out for a fantastic meal after that and there was a live band at the restaurant that added to the already buzzing atmosphere. I’ve watched Aashni grow up from a little girl into the smart young lady she is today. She has done so much for community service and headed a lot of committees in her school with great results to whatever she has undertaken. She is truly a person I know I want my kids to emulate. She is well-spoken, articulate, well-mannered, polite, considerate, plays the piano and excels at just about anything that she touches. I also know that having a strong background and support system from a wonderful Mum and Dad is also a huge contributing factor. 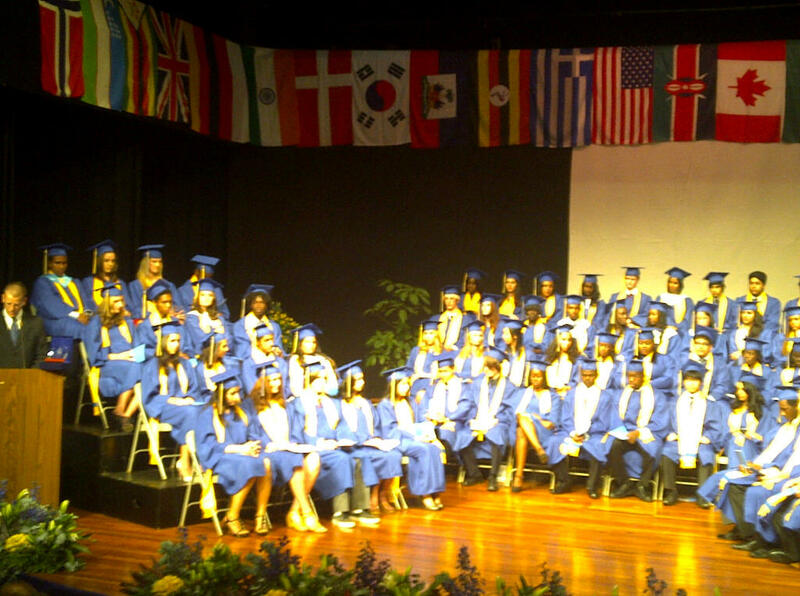 Aashni’s graduation ceremony has made me want to go back to studying. I feel silly for having wasted my life but I also know it’s never too late. I nurse a desire to go back to studying and do something with my life. I used to want to do this to prove to someone I’m not the stupid, dim-wit that he always thought I am but now it’s not about wanting to do it to prove something to anybody. This is about me and I want to do it for myself. I know it will do my esteem wonders and I know my kids will be amused that I want to go back to studying, and I suppose if I don’t serve as an example to them, I’ll at least come across as a warning that they ought to study while they can and have the opportunity which I will do my very best to provide so that when they reach at my age they don’t have to go through what I am right now. So here’s to going back to studying. I’m still in the process of finding out if there are options for students like myself who wish to go back to studying right here in Kenya or if I have to sign up for a long distance learning process. I’m still in the research stages and would welcome input and suggestion on this.